Raccoons may be cute but they are also destructive and intrusive when they enter into a human's domain. 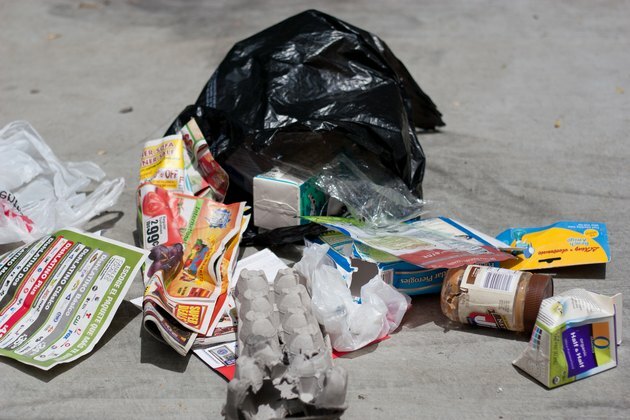 Nocturnal by nature, raccoons will raid your garbage, pet food and garden. They are clever and once they are successful in finding food, they will return. Although raccoon trapping and purchasing home pest control products are an option, homemade raccoon repellents sprayed on and around areas you wish to keep the raccoon away from can be just as effective. 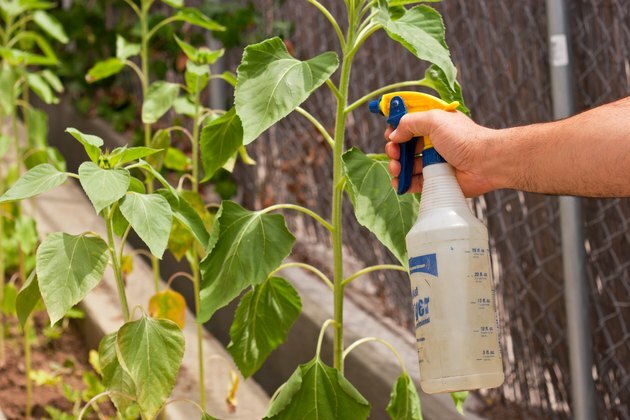 This raccoon repellent recipe is recommended by the Larimer Humane Society in northern Colorado to protect your plants from being eaten by raccoons. Mix the ingredients together and spray it on your shrubs, plants, trees, around and on garbage cans or anywhere you want the raccoon to stay away from. Mix one small bottle of hot sauce (like Tabasco) or one can of cayenne pepper with one gallon of water that has had one teaspoon of mild dishwashing detergent added to it. The soap will help the pepper water adhere to the plants and other places you spray. The pepper spray will need to be reapplied after a rain or watering. Make sure you thoroughly wash any fruit or vegetable you harvest that has been sprayed before you eat it. From the City of Lakewood, Colorado, this wildlife repellent recipe is called Hot Pepper Repellent. It is different from Recipe #1, but just as effective. In two quarts water, boil the ingredients for 20 minutes. After the mixture has cools, strain it through cheesecloth. 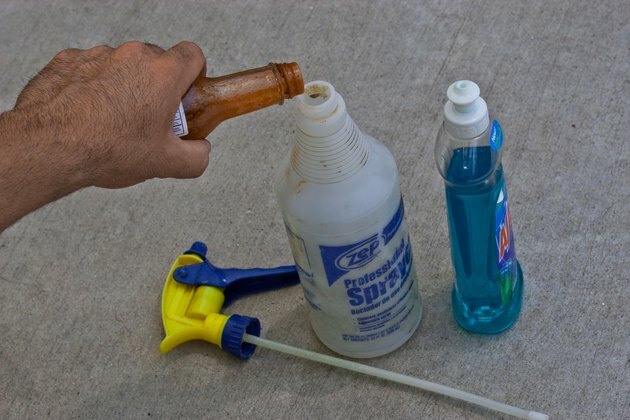 Spray the strained liquid anywhere you want to repellent raccoons or any other wildlife. It is very effective, but must be reapplied every three to five days. Raccoons that enter your yard or home are either looking for food or a place to nest. 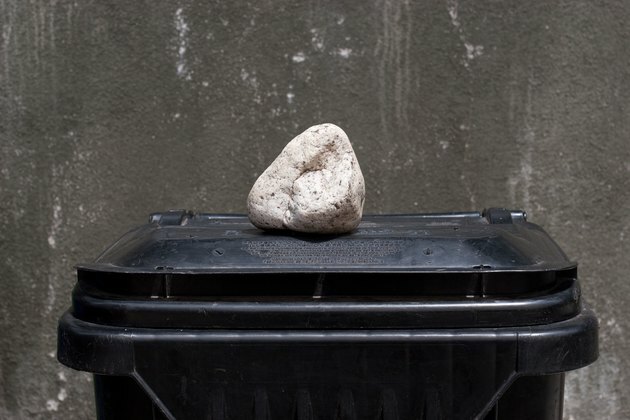 Therefore, tightly securing the lids on your garbage cans, even weighing them down with bricks, removing pet food and other food sources, securing pet doors or other accesses to the inside of your home and trimming tree branches away from your roof and chimney will discourage the raccoon. If a raccoon should take up residence in your attic or chimney, do not try to scare, trap or remove it yourself. Many times there will be young baby raccoons present and removing the mother will cause further damage and destruction. It is best to call a professional in this circumstance to remove the raccoon family.